part of the Potential in Everyone Academy Trust. Welcome to Bredgar Church of England Primary School’s website. Our school is a very happy place to be, with a positive and caring nature based around key Christian values. We aim to reflect our school ethos in this website and hope to provide you with lots of useful information about our school as well as some fun links. If you would like to visit our school (other than virtually!) then please visit the contact section of this site. We look forward to seeing you! Bredgar CEP School is committed to safeguarding and promoting the welfare of children and expects all staff and volunteers to share this commitment. 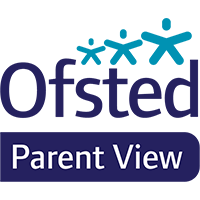 We have a number of policies and procedures that contribute to our safeguarding commitment, including the Potential in Everyone Academy Trust’s Child Protection Policy which can be viewed here.